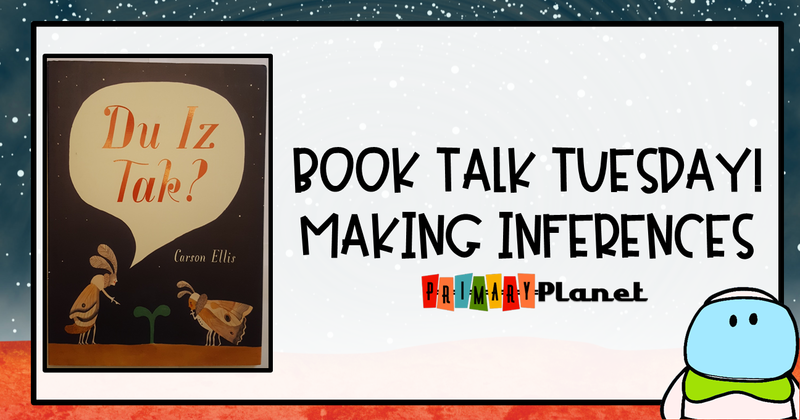 Book Talk Tuesday: Making Inferences with Du Iz Tak by Carson Ellis | Primary Planet! Here I am again! Another Book Talk Tuesday! We are working on Making Inferences this week in second grade. Inferring can be tough for second graders, so we practice a lot! This beautifully illustrated book is sure to be LOVED by your class. A series of bugs (speaking bug no less) find a sprout and are curious to see what it is all about. They decide to put it to use but have to contend with a spider, a bird, and a flower. All the while there is a caterpillar who is going through metamorphosis and some helpful neighbors who watch with interest the goings on of the young insects! This book is perfect for making inferences (unless of course you or your students are fluent in bug). 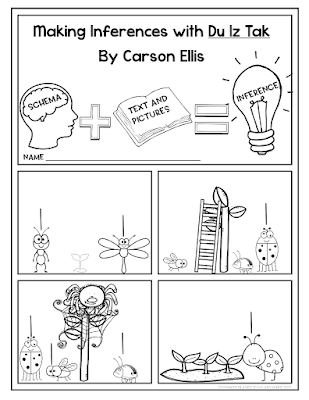 There are plenty of clues in the pictures and text for your students to infer what the bugs are saying and doing. 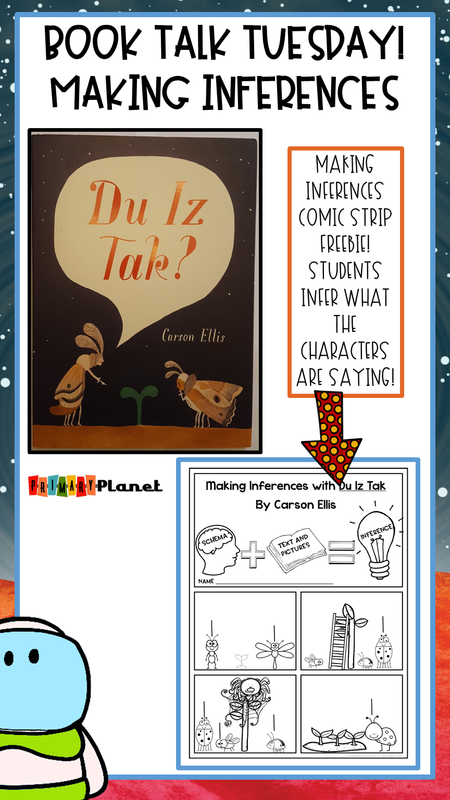 This page has a reminder of how you make an inference, plus a few recreated scenes from the book so your kiddos can infer what the bugs are saying! Click on the picture to get your copy! Is there a book you would like for me to review and make a freebie for? Make a comment and let me know! Would you like more freebies? 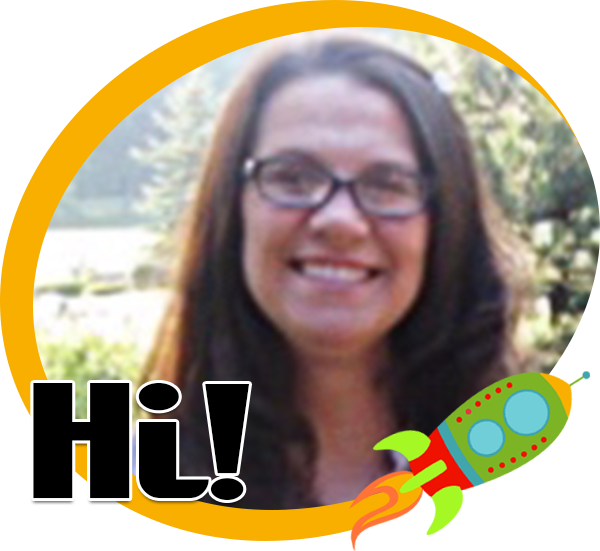 More great teachery ideas and other fun stuff? 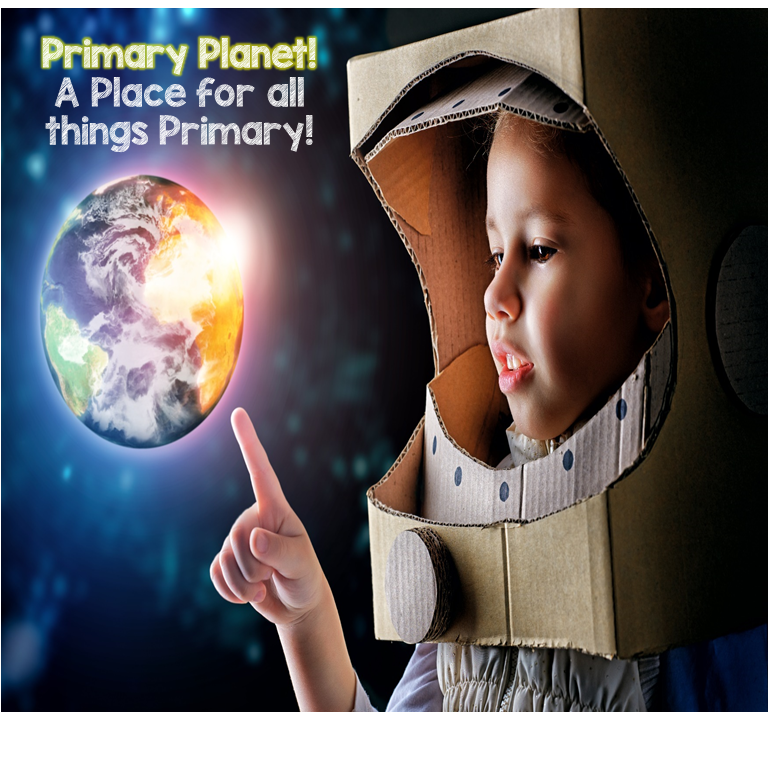 Join my e-mail list and never miss out on anything that is happening at The Primary Planet!